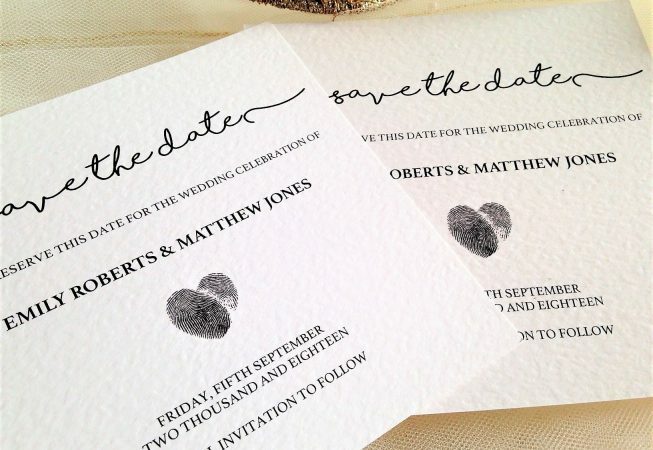 Perfect Match Save The Date Cards to announce your wedding in style. 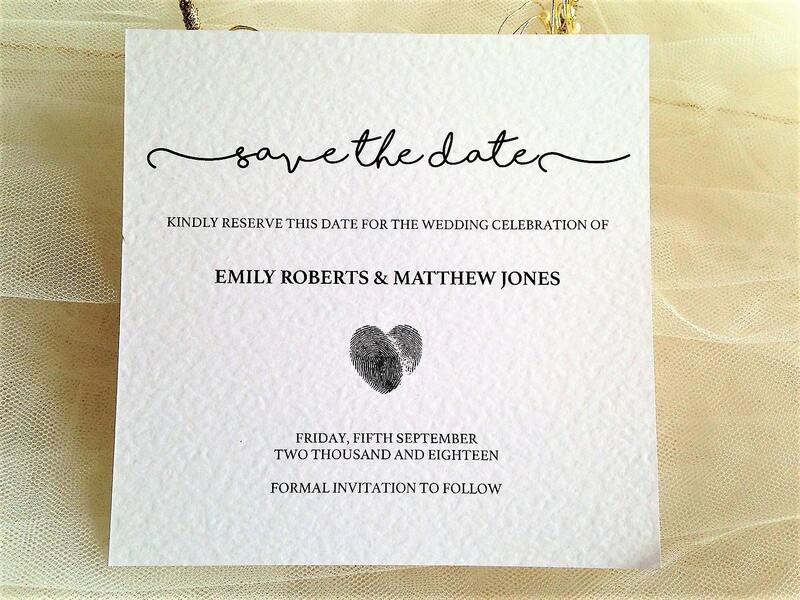 Save The Date Cards are printed on a top quality thick heavy weight (270gsm) hammered card and are available in white or ivory. 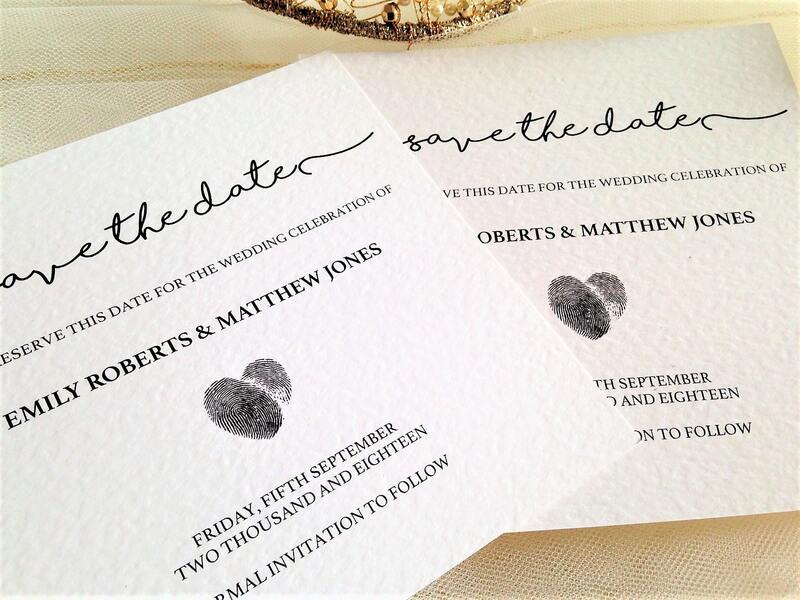 Featuring an attractive thumb print heart design. Simply select your card colour and typeface choice.